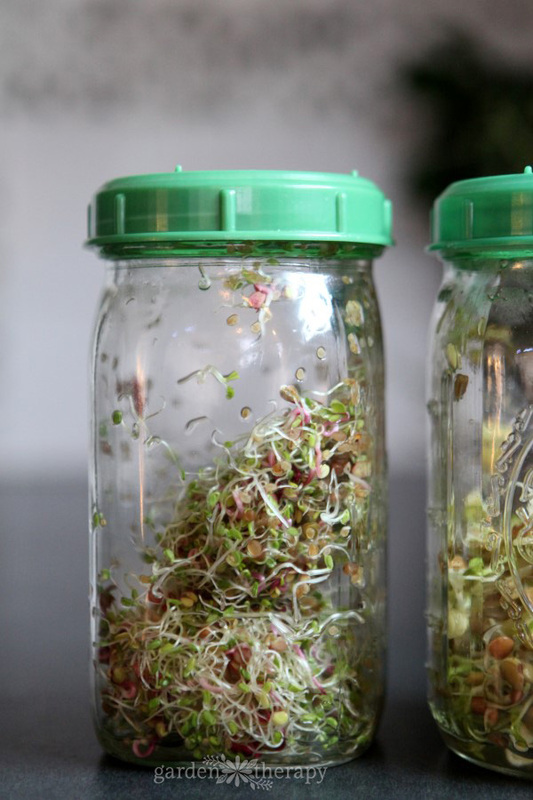 Growing your own sprouts is one of the easiest and most accessible ways to grow food at home because it requires very little space, can be done indoors at any time of year, and is super easy to do! The only thing that can get a bit confusing is when you go to buy your seeds and find yourself faced with a shelf full of different varieties of sprouts. Which should you choose? I’ve made up a list of some of the best sprouting seeds and what they taste like, so that you can pick the right sprouts for your preferences. You may also want to pick a few and mix them together—you can create all sorts of delicious flavor combinations! 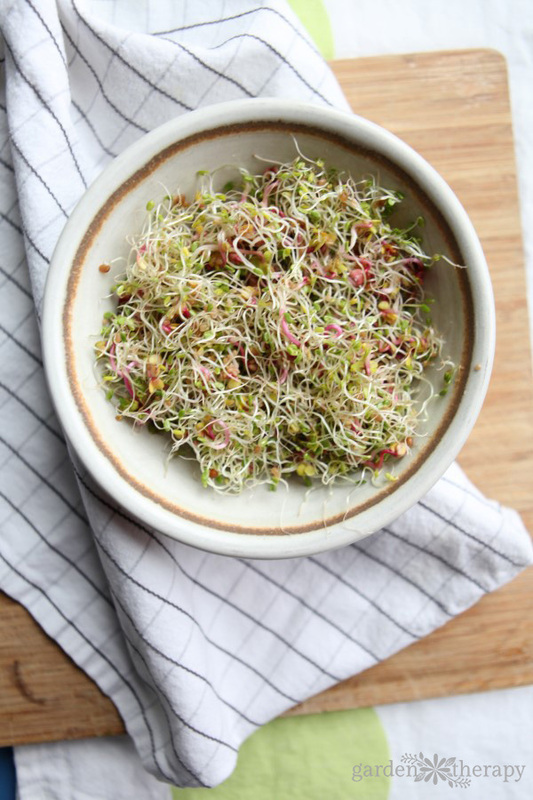 Alfalfa sprouts are one of the most common varieties, probably because the taste goes with everything! They are small, crunchy sprouts with a mild taste. Add these sprouts to any dish to add a little crunch and a lot of nutrients. 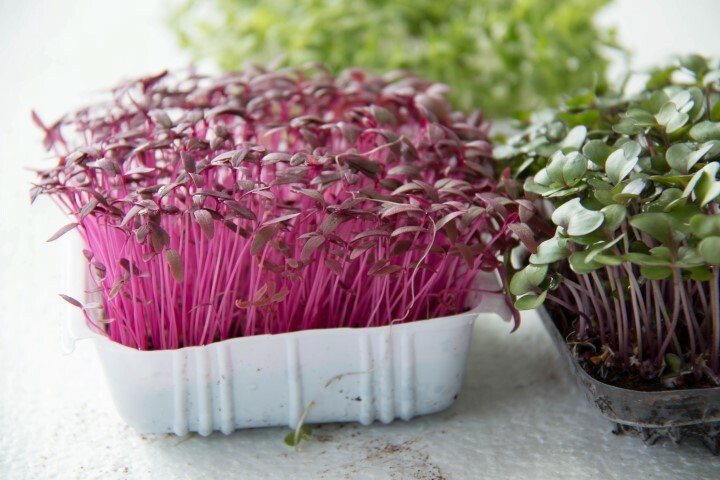 Beet sprouts have colorful stems in dark red or magenta and bright green leaves, so if you want to add a pop of pretty color to a dish, these are the sprouts for you. They taste slightly earthy and very sweet. Broccoli produces thick, hefty sprouts that have a nutty, spicy flavor (a bit like radish). They don’t actually taste much like broccoli, but they are a delicious addition to anything that could use a little spice. They are also particularly high in antioxidants, so if you’re adding more sprouts to your diet in order to boost your health, these are a good choice. Fenugreek has a bitter taste that adds complexity to dishes when mixed with other flavors (consider using it in a sprout mix), but is usually not eaten on its own. Fenugreek can help to relieve an upset stomach, so this is a good choice for those with sensitive tummies. 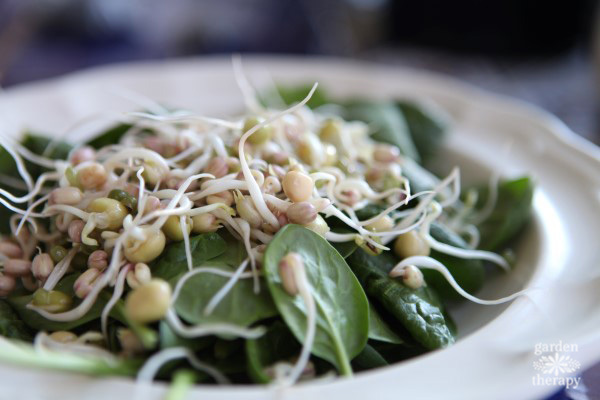 Green pea sprouts are crunchy with a fresh, sweet taste reminiscent of snow peas. They are mild and go well with most other flavors. These are many people’s go-to sandwich sprout! I like to grow them in combination with mung bean sprouts as they have the same growing time and complimentary flavors. Lentil sprouts come in various colors, making them an attractive addition to a dish that needs a little color contrast. They have a great, crunchy texture and a rich, nutty flavor. Mung bean sprouts are thick, juicy sprouts with white stems and a very mild taste. Their crunchy texture and tendency to take on the flavor of whatever sauce or seasoning is added to them makes mung bean sprouts a great addition to stir-fry. Mustard sprouts have an earthy taste and a spicy kick, kind of like horseradish. A perfect sprout for the spice lover! Radish sprouts are very slender, with red-tipped leaves. They look lovely as a garnish. They taste similar to mature radish, but with less spice. These dark green sprouts have a mild, earthy taste and a very crunchy texture. They go well with most other flavors, so pile them onto all you favorite sandwiches, salads, wraps, and bowls. Sprouting spelt results in a nutritious, chewy grain with a mildly sweet taste. If you want to use sprouts in a surprising way, spelt sprouts can be added to your morning granola, raw bread recipes, and even baked into cookies. Sunflower sprouts have thick, juicy leaves with a deep, nutty flavor that is scrumptious. Sunflower sprouts are delicious in the usual dishes—salads, sandwiches, bowls, etc.—but their sweet flavor also makes them a welcome way to pack some more nutrients into a fruit smoothie. A Patio Fruit Garden is a Pretty and Sweet Summer Treat!